Visit the World War II Valor in the Pacific National Monument at Pearl Harbor to reflect, remember and understand the tragic events of December 7, 1941. You will also learn more about the people involved and the events that led up to, and followed, the attack on the Pacific Fleet. Guests can visit any attraction that they would like while at Pearl Harbor a la carte. Tickets to the USS Arizona Memorial are guaranteed for pickup times at 6am, or 5:30am if outside Waikīkī. For any other pick up times including Pearl Harbor, guests are welcome to book their own times for the Arizona Memorial at www.recreation.gov. Guests will enjoy the perfect Pearl Harbor experience for their group! Guests are picked up at virtually any hotel, airport, or location and given a personalized private tour of O`ahu. Choose the perfect sights and activities for you and your family, swimming, hiking, shopping, great food, photography and much more. Choose between Your Half Day (6-Hour) Tours, Your Full Day (9-Hour) Tours, and Your Long Day (12-Hour) Tours. 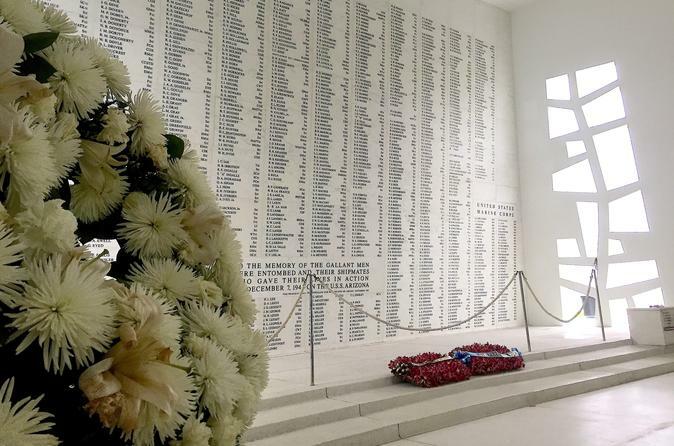 Your Pearl Harbor Tours will give you the opportunity to visit the USS Arizona Memorial and the Road to War as well as the Attack Museums at the Pearl Harbor Visitor Center. Arizona Memorial Tickets are guaranteed for 6am pickups only (5:30am if outside of Waikīkī) and guests are able to visit any of the other attractions at the World War II Valor in the Pacific National Monument a la carte if they wish to. Combine Your Pearl Harbor Tours with Waikele Outlets, Aloha Stadium, Hanauma Bay, Diamond Head, Dole Plantation, Nu`uanu Pali Lookout and so much more! Your options are virtually limitless, and every experience is tailored to your groups wishes and tastes.